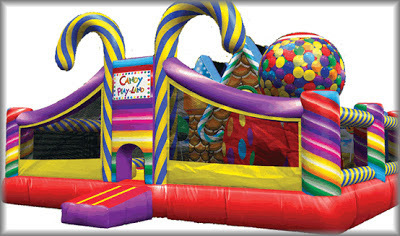 Inflatable fun at Wylie Recreation Center, This Friday, 12/21/12, 1 – 9 PM. Large open play area, a gumball tunnel and a gingerbread house slide. 16’ 2 lane slide. Race your friends to the bottom. Recreation Pass required. Children six years of age and younger must be with parent or guardian that has valid Recreation Pass.